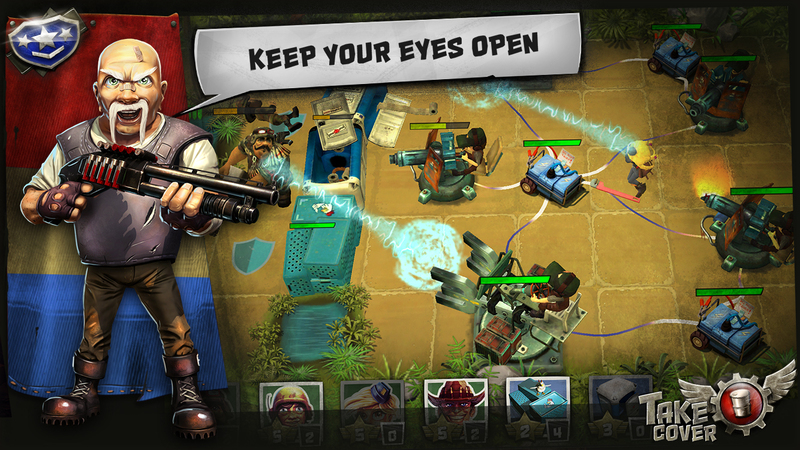 Take Cover is a cartoonish AAA Mobile Action Strategy game made by the Angry Birds Go! developers. Set up your base, gather a bunch of wacky soldiers and challenge the evil Corporation goons in the ever changing jungle environment and beyond! In this game, you will need to create an effective strategy for deploying your troops with the right cover at the right time. Carve out your career as a commander right now!Experience a new kind of action strategy that will push your skills to the limit! 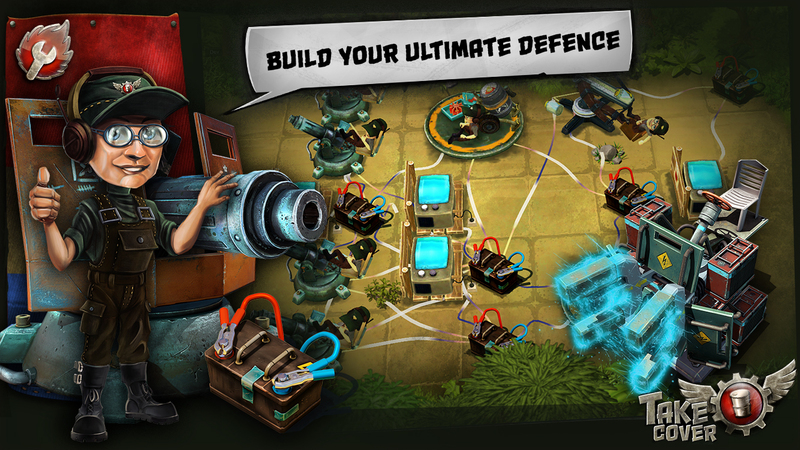 Fast-paced, action-packed combat, where you directly control your troops! 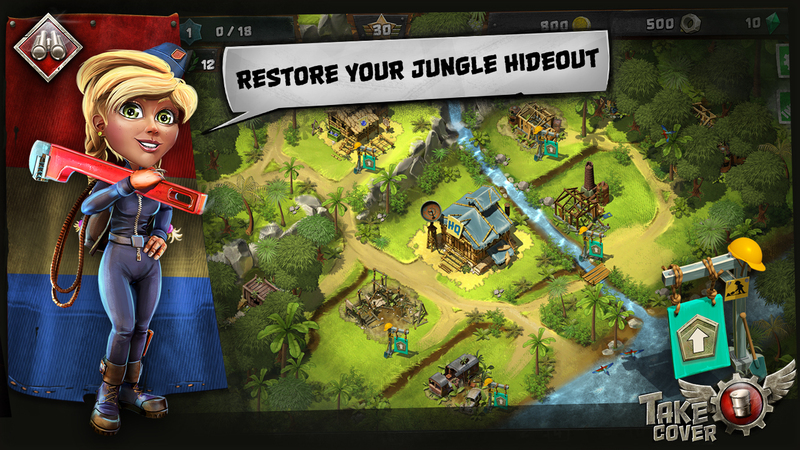 Fight your way through an unforgiving jungle in a single-player campaign! Battle against other players and outsmart their defenses, proving you are the best! Share your success via online leader boards! Attack other players to steal their resources! 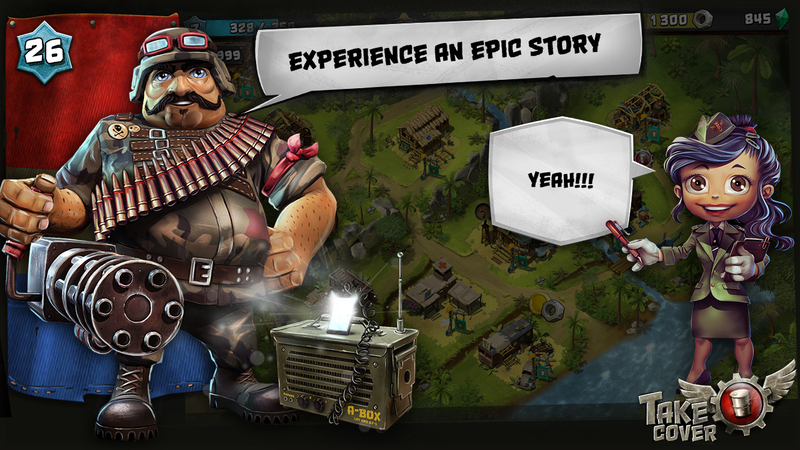 Build and expand your base, unlock new exciting units and abilities! Various combinations of troops, covers, and abilities. Create an unbeatable Special Forces Squad!